Our squad is assembled – but are we in good nick? It’s been a busy old transfer window for Liverpool. Particularly on the outgoing side; the squad needed serious trimming anyway but then with the added factor of having no European football this season, we could afford to let go a couple of names who otherwise may have been given one last shot. 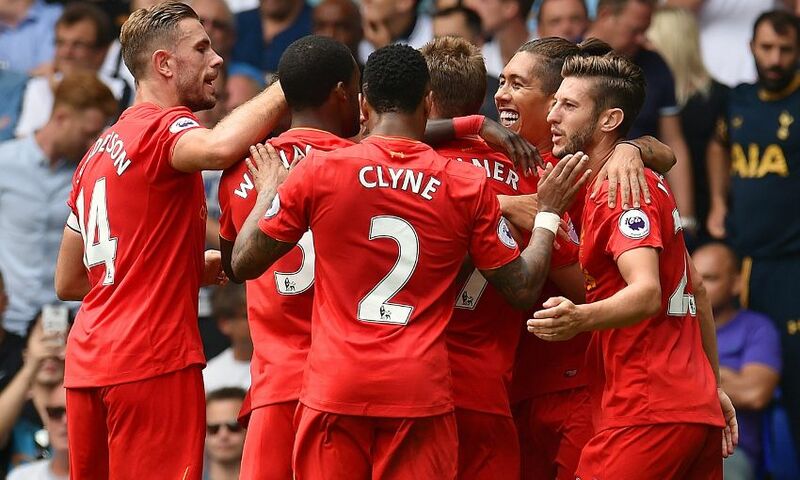 Players like Joe Allen and Jordon Ibe were ruthlessly shipped out, while Martin Skrtel and Kolo Toure were replaced with younger blood. To exit any window with a positive net spend may raise a few question marks at a club like us, but to do so with an outlay of roughly £65m suggests that’s more down to the good fees we got for our surplus players like Christian Benteke than it is us being frugal. You could question whether we should have brought in one or two more signings seeing as the resources would have been there, and given that we are looking particularly weak in two certain areas (I don’t think I need to clarify where these are), but for now let’s focus on what we have rather than what we don’t. Loris Karius and Alex Manninger have come in to compete for the goalkeeper spot, and although the latter may be lucky to even play a minute’s competitive football for us, the former will hopefully give our defence a whole new dimension. He’s everything that Simon Mignolet isn’t; good with his feet, vocal, and dominant in his area. With Joel Matip’s added composure in the heart of our defence, hopefully we won’t be as much of a train wreck at the back as last season. To get those two for less than £5m combined is the sort of shrewd business most of us expected Jurgen Klopp would bring to LFC. The Mamadou Sakho saga is a strange one, and one we can only wait to see how it will pan out. If his attitude is such a problem, it doesn’t seem like something a season’s loan would solve. And if we were planning for life without him, I’m not convinced Ragnar Klavan was as good a replacement as we could have got. Georginio Wijnaldum is probably the biggest enigma of this summer. A fine player, there’s no doubt about that. But £25m worth of fine? And the sort of player we were in need of? Not for me. But in terms of how we tend to make these annual baffling signings like Benteke or Mario Balotelli, Wijnaldum is far from the worst. Sadio Mane is probably the incoming player who has got the fans most excited. His fee did raise a few eyebrows, but his blistering start, combined with inflated fees for lesser players who bring Mane’s £30m in perspective, has won almost everyone over. His quality wasn’t really in doubt though, as we saw first-hand what he’s capable of last season. The one thing he needs to develop is consistency, but making such a good start and being our man of the match in each of his three appearances can only help that. We’ve done a good job of trimming a lot of the deadwood from the squad, which if nothing else will have freed up a lot of wasted wages to now be put to better use. The likes of Jose Enrique, Joao Teixeira, and Brad Smith, who were all given sparse runouts last season, were sold or released. Loanees like Luis Alberto and Sergi Canos were sold for fair fees, and Jon Flanagan and Danny Ward have left on loan in the hope of getting a good season’s worth of first team football under their belt. Perhaps the only disappointment and frustration is that we couldn’t find permanent buyers for players like Adam Bodgan, Andre Wisdom, Lazar Markovic etc. They have no real future at the club, but we’ll still be paying a chunk of their wages and we may find ourselves in exactly the same situation with them next summer. Mario Balotelli is finally off our books though, much to everyone’s relief. With just a year left on his contract, his LFC career would have effectively been over with a loan move, but to rid ourselves of him completely now feels like something of a monkey off our backs in terms of covering any proportion of his wages. Moves didn’t materialise for either Tiago Ilori or Lucas Leiva, with only unsuitable loan offers touted for the former, and Klopp blocking Lucas’ proposed move to Galatasary. Ilori will likely stick around in the U23s unless needed in an emergency, and Lucas’ experience and versatility clearly convinced the gaffer he would be useful to keep around. Looking back a year, I would certainly say our squad is in a ‘healthier’ state, in that it isn’t overly-inflated with players doing nothing but sitting on the side-lines collecting their pay checks. Our wage bill has likely been cut, which usually doesn’t happen without a hit to the quality of the team. But clearing out the big earners such as Benteke, Balotelli, Enrique, Toure, Skrtel etc won’t exactly prove much of a detriment to us. Ideally I would have liked to have seen us strengthen further instead of placing our trust entirely in Alberto Moreno and Jordan Henderson to have the storming seasons that will be necessary of them now. We also have a strange situation arising at centre-back that may be worth keeping your eye on. Dejan Lovren seems a dead cert to be our main centre back, but he lacks both the quality and the leadership of the likes of Sami Hyypia or Jamie Carragher that you need back there. We’re pinning our hopes on Matip and Klavan settling in instantaneously, otherwise we’d have to turn to Sakho who we clearly don’t believe in, Gomez who is young and lacking in fitness, Lucas who is a makeshift centre-back, or Ilori who we put up for sale. The quantity is there, but I’m not convinced the quality is. Messyrs Karius and Mane are the ones I believe we are looking to most strongly to be the game-changers for us this season. To have a goalkeeper who can instil some confidence into the entire back four will hopefully boost the defence as a unit and see our team have more faith that one slip won’t cost us a goal. And the livewire that is Sadio Mane will give us a very different dimension up front when looking to break teams down. If Wijnaldum can settle into his role and start imposing himself a bit more, I think we can safely say we’ve made steady progress, at the very least.